For a state that can proudly include itself as one of the original thirteen colonies, it's nice to see a hearty, if somewhat scattered collection of online materials. 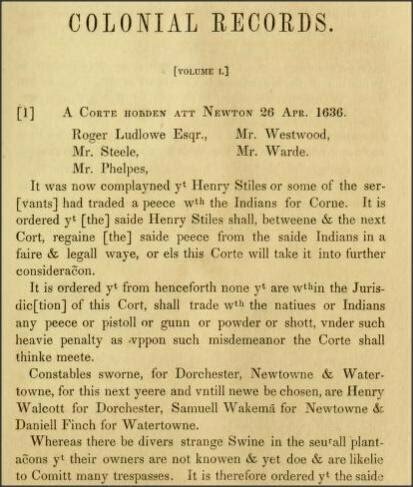 New London County Court Cases Native Americans Collection (The court cases include the charges filed, such as lascivious carriage of a black man towards a white woman). Wethersfield Prison Records, 1800-1903, includes the crime and the prison term. Samuel Wyllys Court Papers, 1663-1728, including withcraft trials.